Caffeine Induced Insomnia – Sleep Deprived Again! 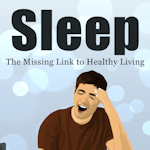 After extolling the virtues of good sleep hygiene and warning of the dangers of caffeine and video screens in my last post (all about how to sleep well… Oh, the irony!…), I myself have fallen victim to the curse of too much coffee and too little sleep. Coffee is now my enemy. It started out innocently enough with an early morning business meeting. The waiter at the restaurant brought coffee for everyone, and it was delicious. As I am always thirsty in the morning, I had a second cup with my breakfast. If only I had stopped there! But no… I had another cup of coffee at lunch. And that was the end of my chance for a good night’s sleep. Did I follow the rules for sleeping well? Did I stop consuming caffeine before the middle of the afternoon? Yes! Did I turn off the television early? Yes! Did I close up my laptop well before bedtime? Yes! Did I resist the temptation to check my email or browse on Pinterest when I was climbing into bed? Yes and yes! But in spite of my best attempts, I still fell victim to caffeine induced insomnia. Oh, the horror! After tossing and turning for an hour and a half, I got up and ate some toast. Sometimes food helps. Well, I did fall asleep for a bit, but found myself wide-eyed again at 3:30 a.m. Gaaaah! I don’t want to turn this into a diary of sleep deprivation, but I guess this shows that sometimes our own choices can be our worst enemies. I have learned my lesson. It wasn’t so much caffeine induced insomnia as it was self induced insomnia. Now, I know. One cup of coffee won’t kill me, but three cups will definitely keep me awake! Sometimes our own choices can be our worst enemies.